SNAFU! : The F-35 program office gave the Germans the classified brief and they choose more Eurofighters? The F-35 program office gave the Germans the classified brief and they choose more Eurofighters? 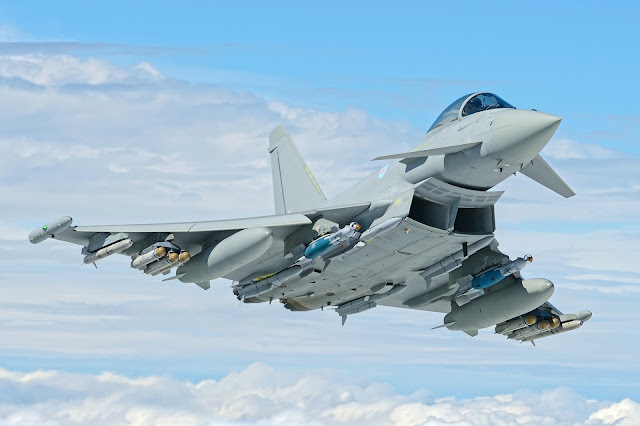 The German Defence Ministry said on Monday that the European fighter jet was the leading candidate to replace its Tornado jets, which it wants to start phasing out in 2025. This obviously isn't about the qualities of the F-35. This has nothing to do with the Germans viewing it as superior or inferior to the Eurofighter. This has everything to do with maintaining the defense industrial base in Europe. Because I believe that's the play here I can't get heartburn over the decision to go with the Eurofighter. I CAN GET HEARTBURN with the way that the Germans appeared to conduct a little friendly economic espionage by obtaining information on the F-35 for free. They requested and got the classified briefing so even if they don't have the particulars they are pointed in the right direction on capabilities that they should incorporate into upgraded Eurofighters. I know they're allies and most will say no big deal. However while the Germans can't be blamed for protecting their defense industrial base, neither can we. No more sneak peeks. No more samples. I'm not a fan of the F-35 but don't give away its secrets for free.